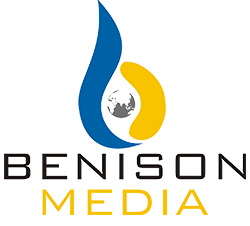 BENISON MEDIA is in business of Publishing “ Think Grain Think Feed ” – A Monthly magazine for feed and technology related to it. The magazine provides important information related to animal feed and Grain industry starting from feed crop production to feed additives and premixes, processing and storage technology for poultry, dairy and aqua sector. It is a content rich and information driven magazine with its unique style of presentation and consists of technical and latest articles, market projections, industry thoughts, interviews, pelletpedia, pre-event and post-event coverage and readers’ views. The readers of Feed and Grain magazine are located all over the world and we reflect this global scope in our features and news items. It provides a comprehensive information on the market and industry, economic and policy issue, scientific advances, new products, latest technology and latest news and analysis on the development in Feed Industry. Our Feed & Grain magazine is circulated among Government officials, Feed industry, agriculture research and academics, feed millers, raw material traders, technology providers, integrator, cooperatives, veterinarians, embassies, trade associations, storage industry professionals, workers and rural institutions etc. Special issues are brought out on the Feed industry and targeted to provide maximum returns to the associates while offering latest information and helpful content through Feed and Grain magazine. ” Think Grain Think Feed ” is a Feed and Grain magazine for the animal feed industry and its suppliers. It carries a mix of discussion, comment, market analysis, company profiles, interviews, technical articles, special features, product information, appointments and news on matters of interest to the animal feed sector. Advertising covers ingredients and additives, machinery, software and other goods and services used in the production of animal feed. Our objective is to be a respected provider of information about Feed and Grain technology in the widest sense. Our Feed and Grain magazine provides articles on techniques and solutions to increase productivity and profitability for businesses in the commercial feed, grain and allied processing industry.